Miguelina's 'Liana' shorts are great for hot days spent exploring a tropical locale, especially with the matching 'Jasper' top. 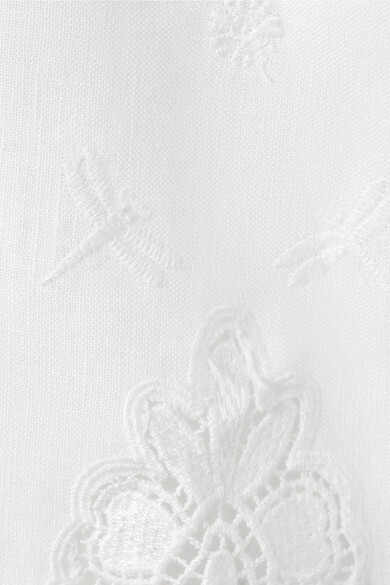 Made from airy linen, this pair is trimmed along the hem with pretty guipure lace. Knot the optional self-tie belt into a pretty bow to define your frame. Shown here with: Miguelina Top, Cult Gaia Mini Bag, Ancient Greek Sandals Sandals, Chan Luu Cuff, Isabel Marant Earrings, Isabel Marant Bracelet.